SES S.A. (Euronext Paris and Luxembourg Stock Exchange: SESG) relayed that the company's SES-9 spacecraft is entering commercial service—SES-9 has successfully completed testing and reached the assigned orbital position at around 108.2 degrees East, where the satellite joined SES-7 and will replace NSS-11. 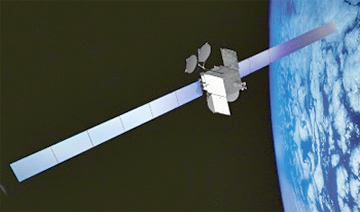 SES-9, built by Boeing Satellite Systems International, is the largest SES satellite to serve the Asia-Pacific region, with 57 high-power Ku-band transponders, which are equivalent to 81 x 36 MHz transponders, out of which 53 are incremental. The new spacecraft will provide significant expansion capacity to serve the fast-growing video and mobility sectors across Northeast Asia, South Asia, India, Indonesia and the Philippines. The satellite will also be capable of supporting a range of Enterprise and Government applications. 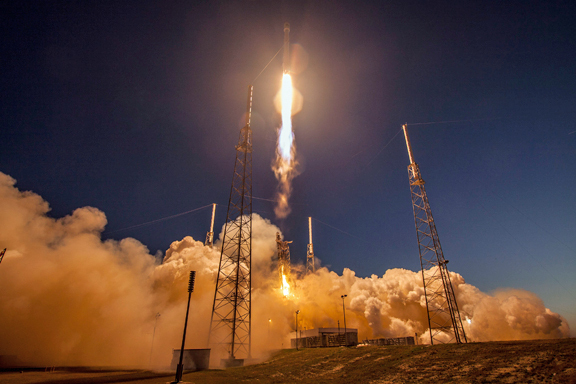 The launch of SES-9 on March 4, 2016, aboard a SpaceX Falcon launch vehicle. SES-9 has already secured business in advance of the satellite’s entry in commercial service. SES will co-market SES-9 capacity with Indonesia’s largest satellite telecommunications services company, PT Telekomunikasi Indonesia, to the Indonesian market. In addition, Sky Cable, the largest cable television provider in the Philippines, signed a multi-year, multi-transponder agreement for broadcasting direct-to-home (DTH) satellite TV channels. This week, SES also partnered with Gilat Satellite Networks Ltd. to launch the SES Enterprise+ Hybrid Broadband in Asia that will use SES-9 capacity. The spacecraft was successfully launched by a SpaceX Falcon 9 rocket from the Cape Canaveral Air Force Station, Florida, on March 4, 2016. Since then, the satellite has used both chemical and electric propulsion systems to reach the assigned, geostationary orbit. The satellite’s platform and payload have since undergone extensive on orbit tests. According to Martin Halliwell, Chief Technology Officer at SES, SES-9 is key to expanding the company's capabilities for DTH video broadcasting and services in Northeast Asia, South Asia and Indonesia and the satellite is equipped with dedicated mobility beams to serve the fast-growing maritime and aeronautical sectors. He also related that the improved performance of the Falcon 9 launcher shortened the orbit raising phase and, in combination with the use of the highly efficient SES-9 electric propulsion system, resulted in the remaining fuel on board being able to support services well beyond the craft's 15 years design life. Mr. Halliwell congratulated the Boeing, SpaceX and SES teams who successfully completed this mission.